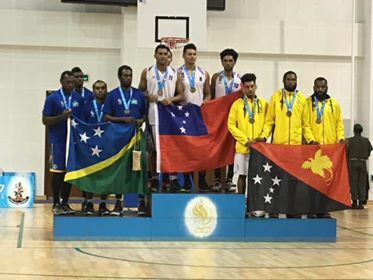 PNG went down in a thrilling encounter to Solomon Islands in the three on three basketball gold medal play off. After four gruelling days of competition, the 3x3 basketball reached the medal matches. The excitement didn’t stop there. After dominant performances against their semi-final opponents, Cook Islands and PNG were ready to battle it out for the women’s gold. The PNG women’s team was filled with players possessing 5 on 5 experience but the Cook Islands boast multiple players with world level 3 by 3 experience. 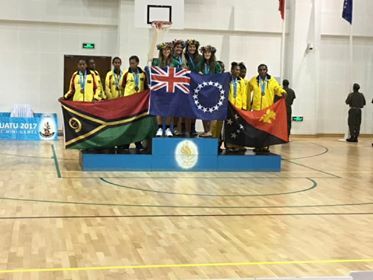 This turned out to be the difference with the Cook Islands showing their knowledge and talent of the 3 by 3 game, taking home a 13-7 victory and the gold medal. After overcoming defeats in the semi-finals, PNG men and Vanuatu women took out the bronze medals. PNG defeating Fiji 20-15 and Vanuatu defeating Nauru 17-10.